The hint of warmer weather, longer days, birds singing and those dependable tulips waking up from the winter makes it easier to get up and emerge out of the house, as if we have been hibernating since November. Roxhill Park is starting to wake up as well. I hear the sounds out my window – children laughing on the swings, skateboarders practicing their tricks, parents cheering for their favorite soccer player. Recently a new endeavor was born. 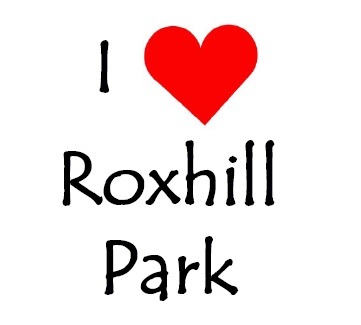 The Roxhill Park Development Program with help from Seattle Parks Commons Program has begun to develop a steering committee to work on planning activities and promoting the park, including the wetlands, play/picnic area and sports fields. Our committee will be strong because of the community members who feel the same passion for our park with ideas and energy to make it a vibrant recreational commons and meeting place. We are eager to build an events calendar for Spring/Summer 2018 and we need YOU. We are looking for volunteers with all sorts of skills and experience. If you have an idea or are interested, please come to our next meeting on April 18th at 6:00 pm at Daystar Retirement Village. Get our full meeting location details -and/or – contact us here. Next Post This Weekend’s Community Trash Pick Up a Success – Join Us Next Month & Get a Free Hot Dog!